Washington D.C, Apr 6: In new research, researchers have shown that parents, who have aggressive arguments, tend to be aggressive with their children as well. The research published in the Journal of Family Psychology found that this 'spillover' of aggression towards children causes kids to exhibit greater fear during future incidents of inter-parental aggression, regardless of the severity of those future incidents, than children who do not experience this spillover effect. "Our study is the first to examine how aggression toward a child and aggression toward a parenting partner unfold at the same time," said Amy Marshall, a researcher. 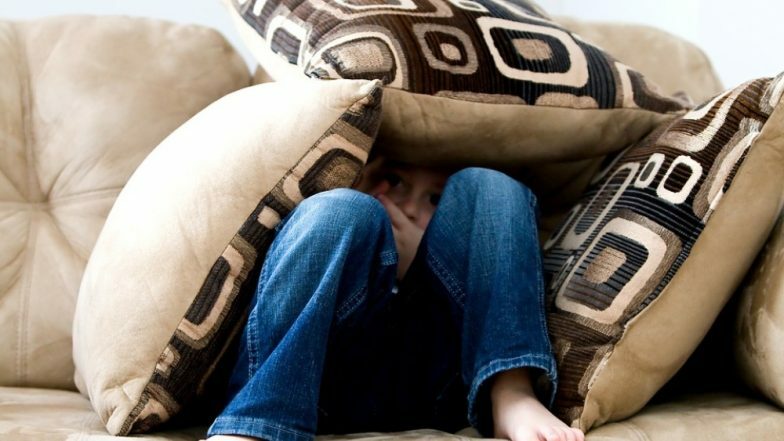 The researchers also found that spillover-exposed children are more likely to engage in their parents' more severe aggressive conflicts by attempting to solve the problem or by making peace between their parents than non-spillover-exposed children. "Our findings suggest that children may fear for their own safety because of their history of having had aggression directed towards them during incidents of inter-parental aggression," said Marshall. Attention Parents! Here Are 5 Signs That Your Child Is Depressed. "Previously, researchers thought that kids reacted negatively to inter-parental violence because it threatened their security within the family unit. For example, it was assumed that children were afraid that their parents would divorce. This study shows that kids may also be afraid of what might happen directly to them," he added. The team conducted four interviews with 203 parents, 109 women and 94 men, from 111 heterosexual couples whose first-born child was 2 to 3 years old at the beginning of the study. The researchers used the responses to examine the occurrence, unfolding, and context of episodes of psychological and physical family aggression- both interparental and parent-child aggression. They defined aggression as non-playful behaviours that are threatening or forceful in nature. Physical aggression included behaviours such as pinching, slapping, hitting and kicking, whereas psychological aggression included behaviours such as insulting, screaming and threatening harm. Parent's Work-Life Stress Can Affect Their Children's Health. "Although our study sample represents families who are in a relatively high-stress developmental period during which aggression is especially likely to occur, it was otherwise a relatively low-risk sample," said Marshall. The researchers conducted the interviews by telephone, asking participants to work backwards in time to review all incidents of interparental and parent-child aggression. For each aggressive incident, parents self-reported the type of aggressive behaviour, the order of the behaviours, and the victim and perpetrator of each behaviour. At the end of each interview, parents were provided individualised motivation, assistance and resources for preventing future acts of aggression. Across all participants, the researchers selected 463 incidents of relatively more severe interparental aggression reported by 73 families. They found that children were present during 163 of these incidents. Of these 163 incidents, 40 included parent-child aggression. Parents, Here's Why You Shouldn't Force Your Child to Apologise. This was not the full extent of parent-child aggression recorded by the researchers, however, the team found that parent-child aggression occurred much more frequently on its own than it did in association with interparental aggression. "But until now, we didn't know how that happens, if it happens on different days for different reasons, or if it happens at the same point in time. This is the first study to look at how those two types of aggression happen at the same point in time," Marshall added.